This week on my blog I reviewed the gripping book by Jane Corry, The Blood Sisters, which I absolutely loved. 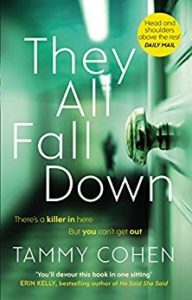 I also reviewed Every Secret Thing by Rachel Crowther and I had a guest post from the author about secrets and lies in fiction. I then reviewed The Fatal Coin by Lucienne Boyce which is an action packed historical crime novella. 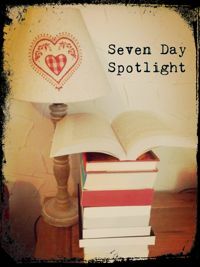 Caryl at Mrs Bloggs’ Books kindly featured me in her ‘The Reading Light is On’ feature – you can find the link here. And I had a guest post from Charlie Laidlaw about the inspiration for his book, The Things We Learn When We’re Dead. Thanks to the Kindle Summer Sale, my acquisitions list is rather large this week. 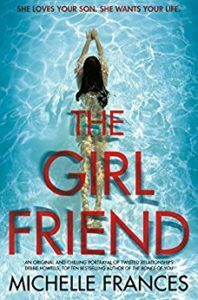 The Girlfriend by Michelle Frances – only 98p and came with a glowing endorsement from the lovely Jo at My Chestnut Reading Tree. 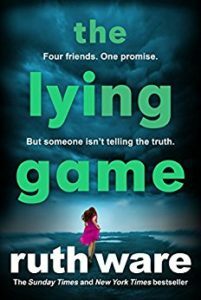 At school Isa and her three best friends used to play the Lying Game. They competed to convince people of the most outrageous stories. 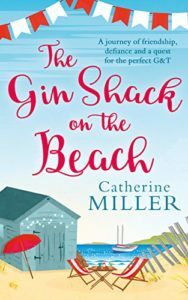 Now, after seventeen years of secrets, something terrible has been found on the beach. Something which will force Isa to confront her past, together with the three women she hasn’t seen for years, but has never forgotten. 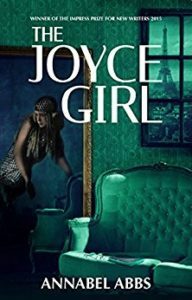 The Joyce Girl by Annabel Abbs – I won this in a competition on Love Books Group blog – with thanks to Kelly Lacey and to Impress Books. 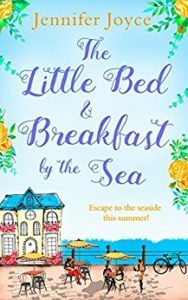 Nineteen-year-old runaway Ruby Baker and pregnant best friend Mary escape domestic violence in London to find a new home in Brighton. They join a glitzy set of party girls, who are hell-bent on enjoying themselves in the new freedom of the 1960s. But their new life soon comes under threat. Someone is watching Ruby. A tall stranger who Ruby keeps spotting in the shadows. This man may have followed them from London. And Ruby fears her dark secret will be exposed. Then a murder at a local beauty spot brings danger for the party-loving set, and the first murder is followed by a second. Rumours of occult sacrifices spread across town. 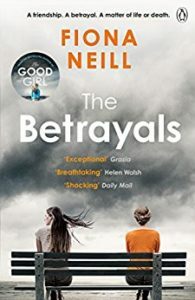 In a breathtaking conclusion, Ruby faces a race against time to save someone very close to her, and her new life may be destroyed and her secrets exposed. Discover a gripping new writer today. 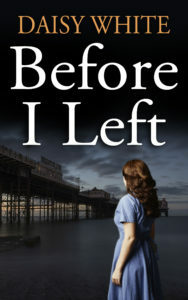 Great for fans of Lisa Jewell, Angela Marsons, or LJ Ross. 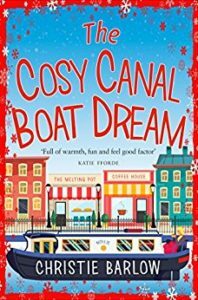 The Cosy Canal Boat Dream by Christie Barlow – I couldn’t resist pre-ordering this one. The lives of two women who never meet are about to collide. 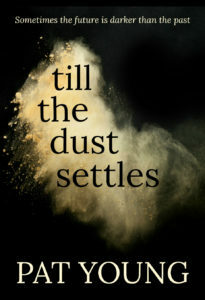 On a street in New York, choking on the dust, Lucie stumbles upon an opportunity for a new life. Sometimes, what lies ahead is even more deadly. 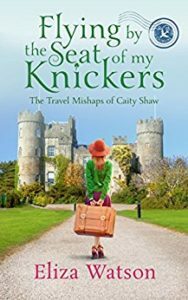 When Sophie Taylor’s life falls apart, there is only one thing to do: escape and find a new one. 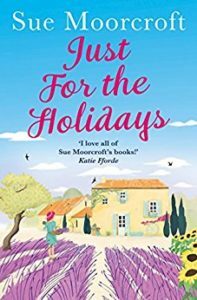 Dragged to Montenegro by her best friend Anna, Sophie begins to see the light at the end of a very dark tunnel. But when she stumbles into an old, run-down house on the Bay of Kotor, she surprises even herself when she buys it. 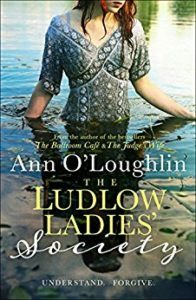 Surrounded by old furniture, left behind by the former inhabitants, Sophie becomes obsessed by a young Balkan couple when she discovers a bundle of letters from the 1940s in a broken roll-top desk. Letters that speak of great love, hope and a mystery Sophie can’t help but get drawn into. Lucy Muir is leaving her husband. It’s complicated. As joint owners and chefs at one of the best restaurants in town making a clean break is tough. But, let’s face it, a woman can only take so much cheating, recipe stealing and lack of good grace. Then Lucy happens upon an old, empty terrace that was once the city’s hottest restaurant: Fortune. One minute she’s peering through grimy windows into an abandoned space, the next she’s planning a pop-up bistro. 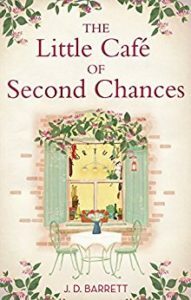 When Lucy fires up Fortune’s old kitchen she discovers a little red recipe book that belonged to the former chef, the infamous Frankie Summers. 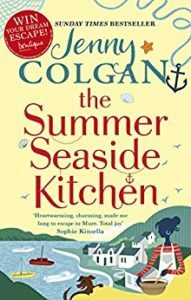 As Lucy cooks her way through Frankie’s recipes, customers come flocking and slowly Lucy begins to regain her confidence. It turns out that courage, passion and just a tiny bit of magic might be the secret recipe for a better life . . . 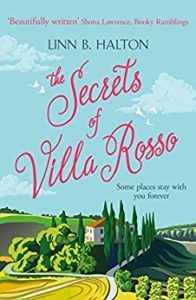 In 1950s England, six-year-old Gracie Scott lives with her Mam and next door to her best friend Billy; she has never known her Da. When her Uncle Joe moves in, his physical abuse of Gracie’s mother starts almost immediately. But when his attentions wander to Gracie, an even more sinister pattern of behaviour begins. As Gracie grows older she finds solace and liberation in books, poetry and her enduring friendship with Billy, with whom she escapes into the poetic fantasy worlds they create. But will fantasy be enough to save Gracie? Just how far will Uncle Joe’s psychopathic behaviour go? The story weaves between these events and the visits Billy pays many years later to an old friend, confused and dying in a hospice. It is here that he is forced to revisit the events of the past. 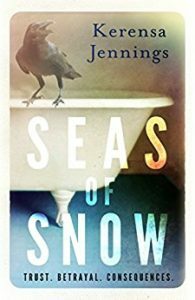 Seas of Snow is a haunting, psychological domestic drama that probes the nature and the origins of evil. 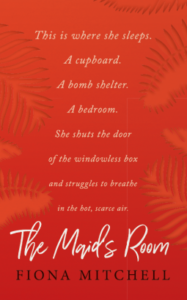 Set in the blistering heat of Singapore, THE MAID’S ROOM follows the lives of two Filipina maids – sisters Dolly and Tala who are working hard to send money back home, and British ex-pat Jules who has left her job as a midwife to move to Singapore with husband David. As always, any thoughts and comments are very welcome. 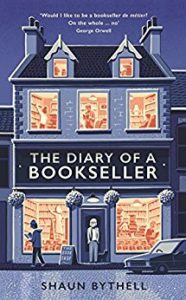 I love books about books so The Diary of a Bookseller is right up my street. I suspect many of us have been tempted by that naughty Amazon sale! Some interesting reads there. 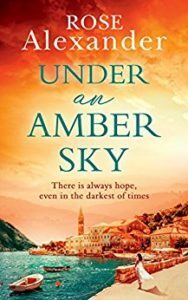 I think you will enjoy Under An Amber Sky, it’s a lovely, pleasant read. Thanks, Vanessa. I’ve heard good things about it. Wow! Some great books there! And thank you for the mention lovely lady! Any time, I love your blog!